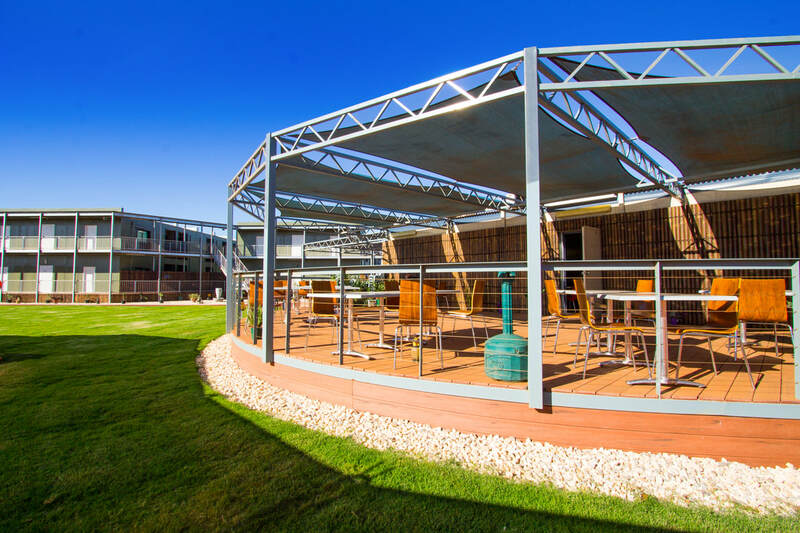 The Landing Resort is situated in Port Hedland, at 945 Great Northern Highway. We are conveniently located opposite the Port Hedland International Airport. The Landing is next to the Walkabout Hotel, Port Tourist Park and BP Service Station. We currently have 280 premium Hotel rooms at the Landing Resort, and 230 other queen bed rooms for guests. It is the perfect tourist or workforce accommodation in Port Hedland, with fantastic meals available for breakfast, crib and sumptuous buffet dinner. The Landing Resort has high quality Hotel Rooms - the best accommodation in Hedland! We have all the facilities you've come to expect and more: Comfortable air-conditioned rooms, laundry, restaurant and gym. There's accommodation for everyone.